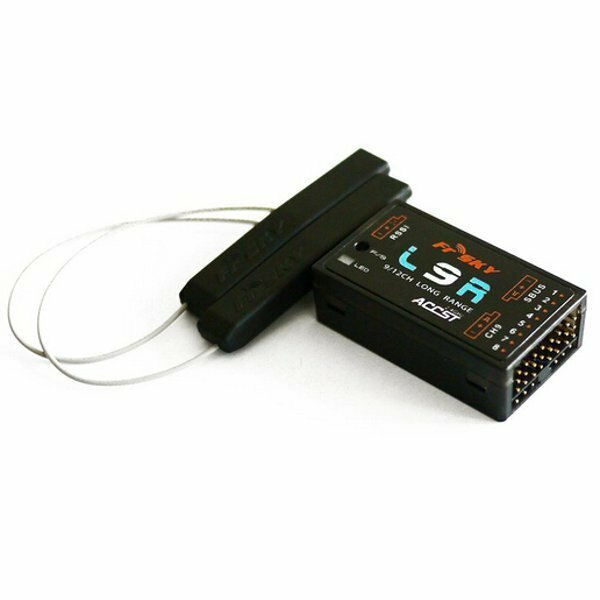 FrSky L9R receiver is the new long range unit from Frsky and offers up to twice the range of the standard X series receivers. It should be noted that L9R is a non-telemetry receiver and therefore not Smartport or Data Hub compatible. L9R receiver does not work with FrSky V8, D8, and D16 Mode. L9R has a bind protocol that differs from the X series - PLUS failsafe is set to last signal by default, so the user must ensure to set the failsafe to work as preferred. Failsafe cannot be set from the TX, so the manual should be consulted for the relevant information.